The Dreamline Linea Frameless Shower Screen is really nice and looks really elegant. 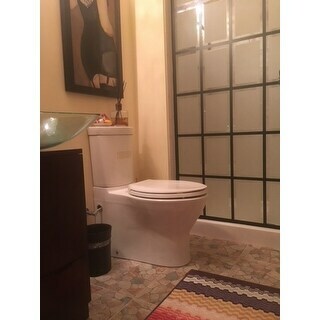 It is perfect for a small bathroom since the screen gives the illusion of a bigger space than putting up an ordinary shower door. This user was entered into a sweepstakes after submitting their honest review. The DreamLine Rhone, part of the French Linea collection, is a single panel, walk-in shower design with a modern industrial touch to complement your shower space. The Rhone has a stylish frosted window pane look, with a black finish that is bold and striking in any bathroom. The glass pattern is made using an application of JetGlaze durable paint, featuring complementary white frosting, with a slight space of clear glass between the colors, for a unique style and easy maintenance without metal framing. DreamLine exclusive ClearMax water repellant and stain resistant glass coating adds superior protection from stains and is nearly maintenance-free. Expand the possibility for efficient use of space with the bright and open design of a doorless shower with the DreamLine Rhone from the French Linea collection! 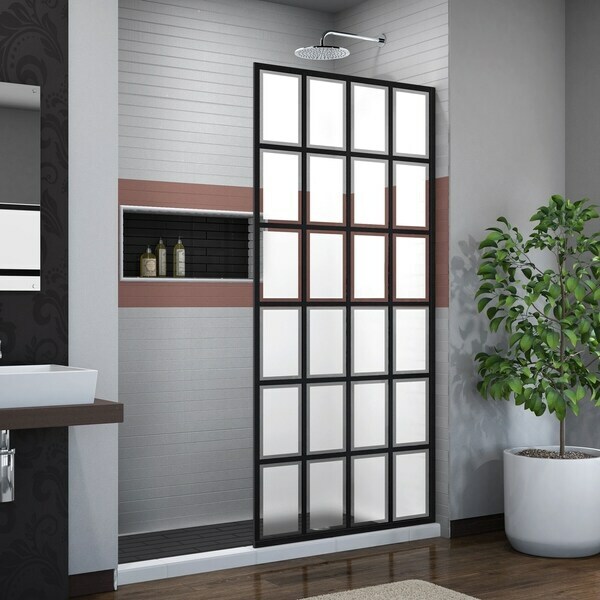 The Dreamline Linea Frameless Shower Screen is really nice and looks really elegant. It is perfect for a small bathroom since the screen gives the illusion of a bigger space than putting up an ordinary shower door.